We’re going to take a look at a LEGO game creator that is hosted over at Miniclip. 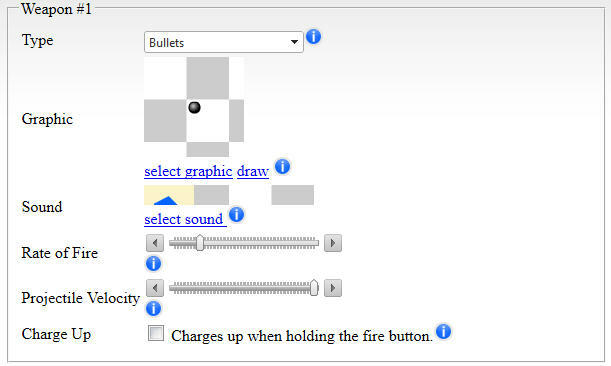 The game creator is built in Flash and outputs Flash based games. The game creator itself is pretty basic and for the most part consists of stringing together predefined levels into a new game. There doesn’t seem to be a way to build your own levels. You should be able to build and play games from this game creator on your Android device with the Flash Player. There are three steps to this game creator. The steps are Make Your Level, Make Your Dice, and then Play Your Game. You can also share the game that you create with your friends. 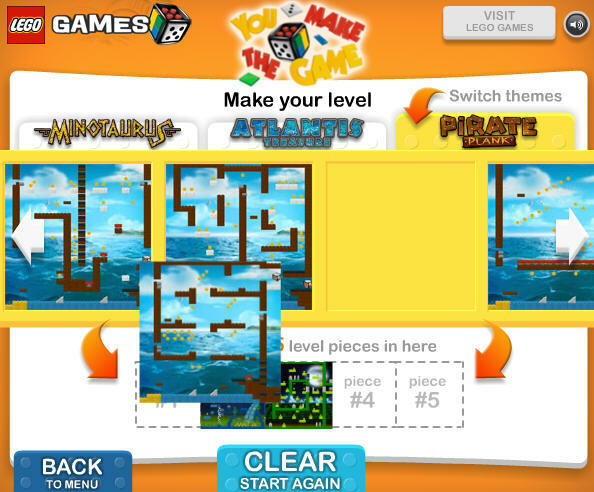 The games that you can create with this game maker tool are run and jump platformer games. You can only customize about 5% of the game in this game creator (mainly stringing levels together). You can also customize what the dice does (which acts as a powerup) on the second step of the game builder. 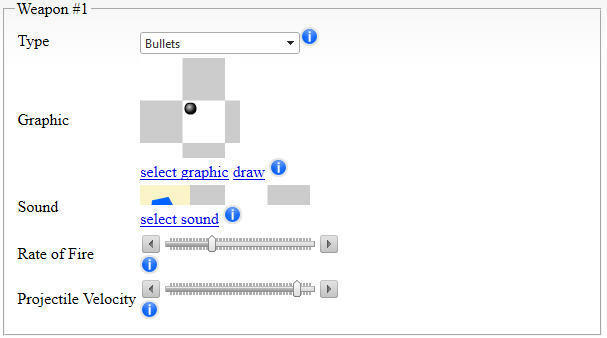 There is no ability to customize the graphics or upload your own graphics with this game builder. However, this build your own game tool is free so that is a plus. 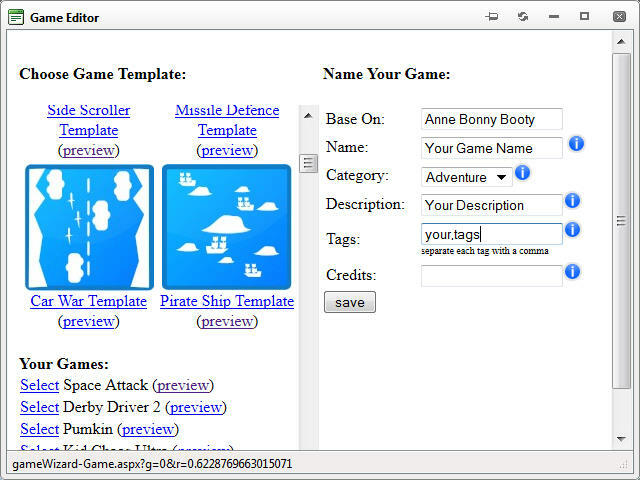 For a game builder tool where you can upload and customize your own graphics you can make your own game for free with Pulado. You first choose the Make option which allows you to drag and drop 5 levels into a string of levels at the bottom of your screen. You get to choose levels from 3 different LEGO themes. The themes are based on the LEGO board games that you can build and play yourself. They are Minotaurus, Atlantis Treasure, and Pirate Plank. As you might have guessed these themes are based on the minotaur Greek myth, the Atlantis myth, and of coarse pirates. The 5 different levels that you drag together creator one long level with no loading screen between. You seamlessly transition from one level to the next. There are about 30 different levels to choose from total which means there are way over 900 different combinations for you to choose from. 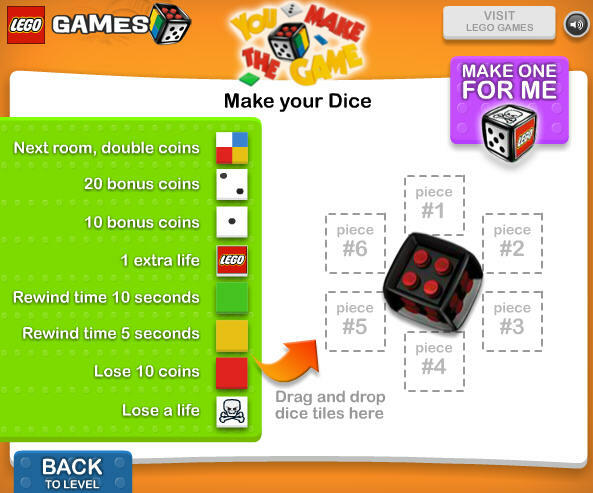 In the next step of this LEGO game creator you get to choose what the dice powerup will do. The dice has six sides and you place a different powerup on each side of the dice. 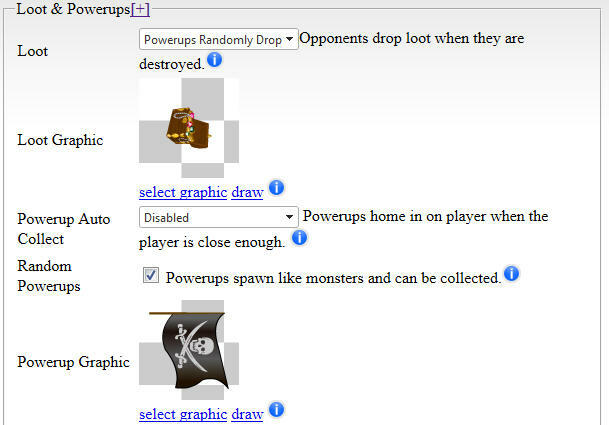 You can also click the auto fill button which will random place powerups on all six sides of the dice. The powerup options for you to choose from are “Next room, double coins”, “20 bonus coins”, “10 bonus coins”, “1 extra life”, “Rewind time 10 seconds”, “Rewind time 5 seconds”, “Lose 10 coins”, and “Lose a life”. Once you drag a powerup into each of the 6 slots on the dice you can move on to testing your game. The last step in this game builder is to actually play and test your game to make sure that it is fun. You can always go back and re-arrange the levels and update what powerups are on the powerup dice as well. You can also share your game at this point with your friends. The are option lets you send a code to your friends (and of coarse the URL for the game builder). They can come to the game builder and unlock your game with the special code. And that is all there is to it. 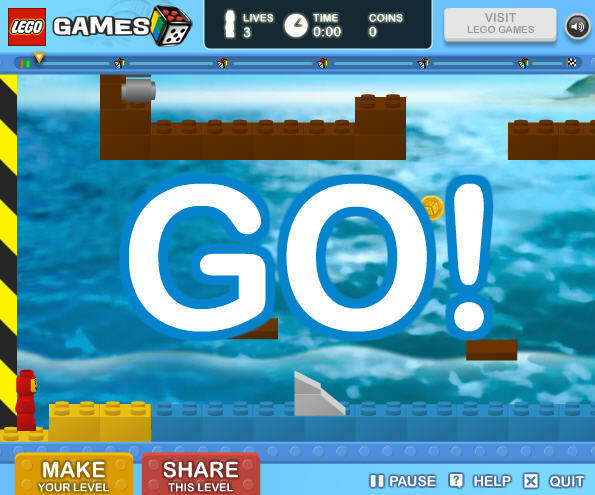 The LEGO games that you create with this tool are pretty fun platform games where you dodge enemies, pick up coins, collect powerups, and more. What are you waiting for? 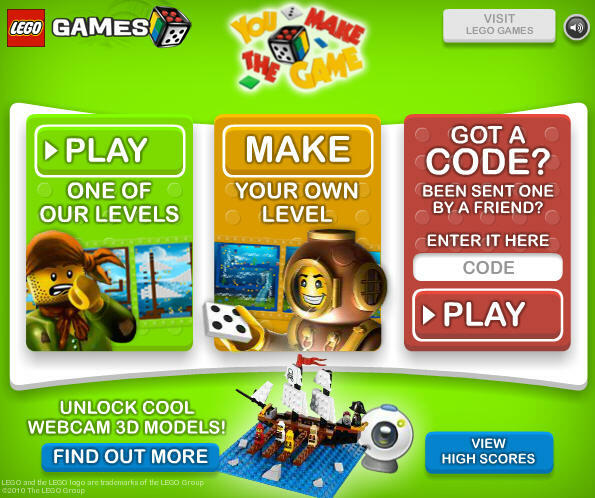 Get started making your own LEGO game by clicking here. So you’re looking to build your own pirate ship game? Over on Pulado there is a pretty fun way for you to do that using an existing game template. So let’s get started. If you don’t currently have an account you will need to make one and then head to the members area. Once there you should choose the New Game button and then choose the Pirate Ship template. Fill in a name, description, and some tags for your new game then then click Save. You can now start editing this game template and customizing it. The game that you publish will be playable on the web and also on Android devices (not to mention the Wii). Select your game and you will end up at the Preview screen. You can play your game here and then each time you make a change to your game you can test it again in real time to see how your changes turned out. The first tab we want to take a look at is the Player Tab so go ahead and open that up. On the Player tab you can customize the graphical avatar that is usable for your character in addition to a bunch of player settings like movement speed and the amount of lives that a player has. The player movement type is set to Move 360 Degrees Right which is the right setting for this type of game because the ship sits right to left. There are other settings that affect this as well on the Gameplay Tab and we will get to them later. If you scroll farther down on the Player Tab you will get to the Weapon #1 and Weapon #2 section for the player. The weapon graphic is setup here and currently set to a cannon ball graphic. You can also customize the sound the weapon will have when it fires, the rate of fire, and the projectile velocity. You can also change the type of the weapon but for now we can leave it on Bullet. Weapon #2 has all of the same options as Weapon #1 except that Weapon #2 is kind of a mega weapon that when you fire it will clear the screen. Let’s move on to the Opponent tab now where we can customize the opponent settings. Make sure that if you made any changes on the Player tab that you click the Save button at the bottom. On the Opponent Tab you can customize the look of the opponents, their speed, and how many will spawn at the start of the game. The opponent Movement type is also set here and it is set to Hover / Chase / Fire LR which means that the opponent ships will chose the player around and will fire to the left and the right. Now with this opponent we also have an option in the Advanced section checked which is set to Multiple Enemies. The Multiple Enemies option means that the opponent graphic is setup with one enemy movieclip on each keyframe. The Pulado engine (which is what you are using to make your own games) will randomly choose a movieclip from the total amount of keyframes and use that each time a new enemy spawns. You can also limit how many enemies can be on the screen at the same time here using the Max Concurrent Enemies option. If you scroll farther down in the Opponent tab you can setup the Weapon #1 and Weapon #2 for the opponent as well. These options are the same as you setup for the player on the Player tab. You can change the graphic, sound, rate of fire, projectile velocity, and projectile type. Choose the Missile type if you want smoke particle effects. The Weapon #2 for the Opponent is not a mega weapon however. It just fires to the sides of Weapon #1 depending on the game difficulty. If you made any changes on this tab you should click the Save button at the bottom. After you save the Opponent tab you should open the Background tab so we can see how the level itself is built. On the Background tab there are four layers. A Top layer above everything else where you could put clouds or fog. A Ground layer where the islands for this game are. A Background Accessories layer which is below everything and a far Background layer which is at the very back. In our case the far Background layer contain some water, the Ground layer contains some islands, and the top layer contains some fog. 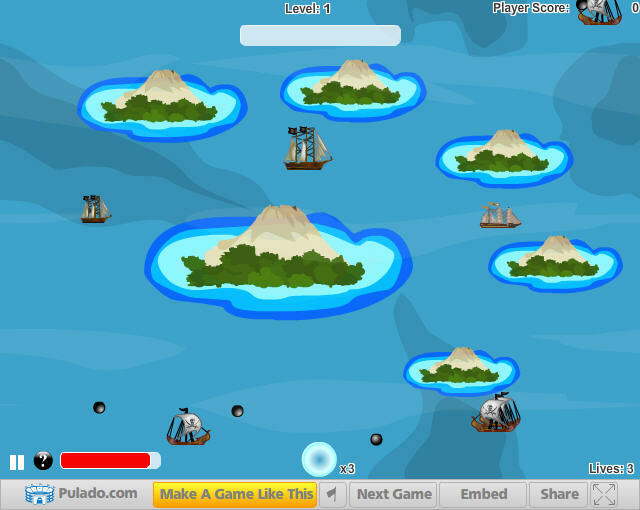 The graphic in the Ground layer is used for the player and enemies to collide against and in this case it is a set of islands that the player has to navigate around. If you make any changes here make sure to click Save at the bottom. The next tab we want to look at for this game is the Gameplay tab. There are a lot of features on the Gameplay tab but the important ones for this game are in the Gameplay section. You will want the Projectiles collide with the ground to be checked so that cannon balls can’t shoot through the islands. In the Player Modifier sections of the Gameplay tab you will want the Mirror Move and the Mirror Fire settings to be turned on. Mirror Move should be set to Flip Left and Right which means that when you move left and right the graphic of the player will flip in that direction so it is always pointed in the direction that you are moving your ship. For Mirror Fire you want Flip Left or Right and Up or Down to be selected so that in any direction that you move it will fire in all four of those directions. In the Loot & Powerups section of the Gameplay tab you can configure the graphic that will drop as look when opponents are destroyed and you can also configure the graphic that will be used for powerups. The graphic that you choose for the powerup will have a letter overlayed on top of it to show which type of powerup it is. That is it for the Gameplay tab. There are lots of other options like the amount of hit points that the player and the opponent has and how many opponents must be destroyed before it moved onto the next level here so make sure you explore them. If you make any changes be sure to click Save at the bottom. Lastly we have the Powerup tab which is where you can control which types of powerups will drop when opponents are destroyed. In this case things like MultiFire and Point Bonus powerups are checked. 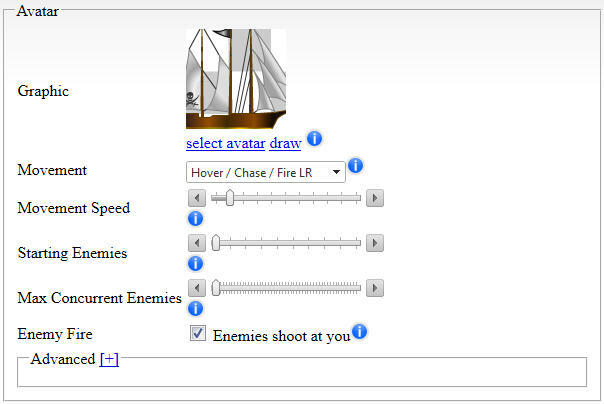 And that is pretty much all there is to it to create your own game online with pirate ships using this template. There are lots of options for you to tweak and it is up to you to make a fun game out of all of the options that are available. You are the game designer. The final game is shown below. So that was pretty easy as far as making a game with pirate ships goes right? We’d love to see what changes you could make to this game like giving it different weapons, sounds and more. This template game only has one level but you could add all kinds of new levels with different island configurations too. 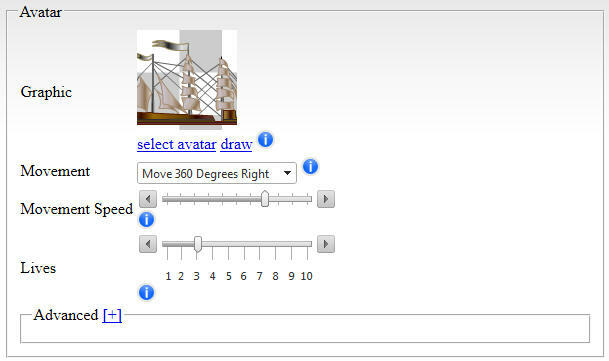 Head over to Pulado and start building your pirate ship game today!